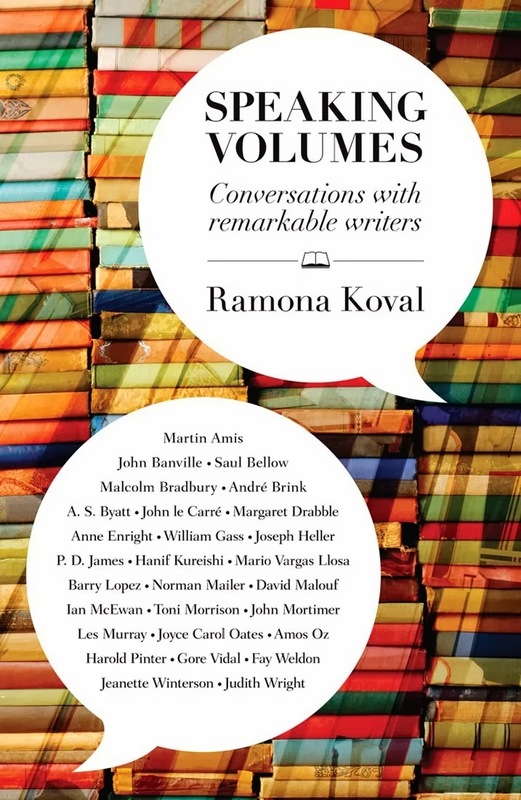 Ramona Koval is a successful journalist, radio broadcaster, published author and editor. During her career she has interviewed countless authors (here and overseas) and is one of Australia's biggest names in books and literature. Speaking Volumes - Conversations with Remarkable Writers is just that, a collection of interviews with some famous and some fascinating writers from across the globe. My favourite interview from the collection was without doubt her interview with Les Murray, conducted in 1997. Les takes Ramona on a tour of his area, and her questions throughout reveal so much about the famous Australian poet, and was quite nostalgic too. I was impressed by just how well Ramona appears to have prepared prior to each interview, demonstrating an exhaustive knowledge of her interviewee's writing without showing off. Even the writers being interviewed are sometimes surprised that she has read this or that particular work. I was surprised and very interested to read the following quote from Martin Amis on page 309, that he: "tend[s] to read a generation behind usually" because: "time hasn't had time to weed out the excellent from the not-so-excellent..." Readers who try to stay on reading trend and only read latest releases should bear this in mind. Published in 2010, my only complaint about Speaking Volumes was that so many of the interviews were conducted more than a decade ago. This passage of time doesn't mean the interviews aren't worth reading today, however I would have really enjoyed the inclusion of more recent material. I recommend Speaking Volumes to readers looking to discover new authors, book-lovers who enjoy author interviews or the aspiring writer looking for pearls of wisdom or the inspiration behind some great authors. Hadn't come across this collection before -- interesting... particularly the Amis quote.